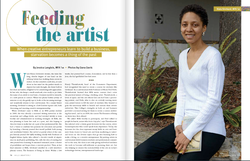 When Kiala started Generations she was an MFA student at Mills College. What began as an imaginary journal created for a class assignment eventually became real as she took a course called, "The Business of Being an Artist" in the MBA program. This article talks about the course, Kiala's participation in it, and the eventual birth of Generations. You can read the online version of this article, here. Written by our CNF editor, Jessica Langlois. 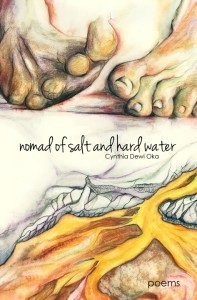 CONGRATULATIONS to contributor Cynthia Dewi Oka (Issue 4) on her debut collection of poems. If you've not read Cynthia's work, you are in for a restorative experience. She haunts you with wisdom from an old soul and inspires you to action through her revelations. To order your copy (which we HIGHLY RECOMMEND), click here.